A thin yellow pancake in front of me is covered with a banana leaf and the bright yellow and green combination attracts me instantly. I am at the newly re-launched Grand Mercure Vadodara Surya Palace and the Chef tells me he is making Panki, a traditional Gujarati dish made with rice flour, besan, curds and salt with an assortment of spices and cooked inside a banana leaf. Once done, the pancake is carefully removed from the banana leaves and the dish has a lovely soft texture that melts in your mouth. While tasting this one thought that instantly came into my mind was that Gujarati food has so much to explore beyond the dhokla and khandvi. 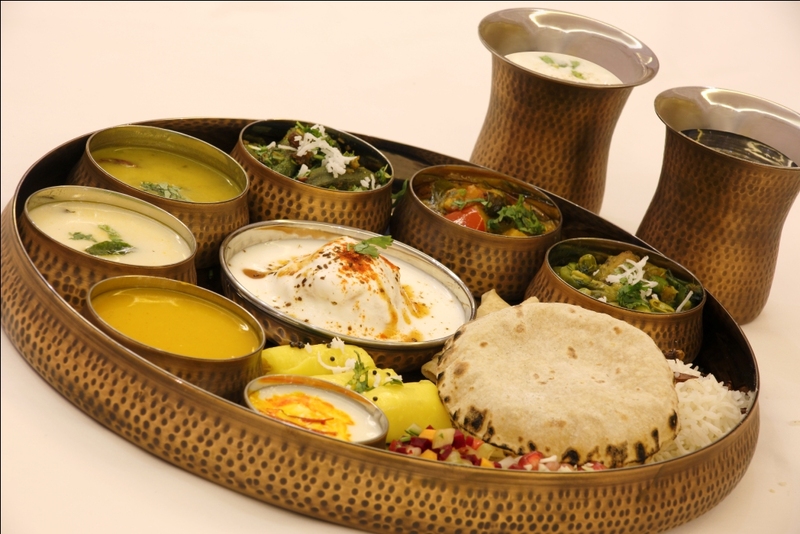 Gujarati cuisine is mostly vegetarian, reflecting the strong influence of Jains and the Vaishnavas in the region. A traditional Gujarati Thaali has lentils a sweet and spicy dal, roti, rice and vegetables with salad, farsan, traditional sweets and chaas (buttermilk). The cuisines vary round the year with availability of different seasonal vegetables and fruits. For instance, during the summer when mangoes are available, the traditional Gujarati dish ‘Keri no Ras’ or Aamras features prominently during a meal. This is a dish that is generally had with rotli or pooris, and is essentially fresh mango pulp to which sugar has been added and is an eternal favourite. 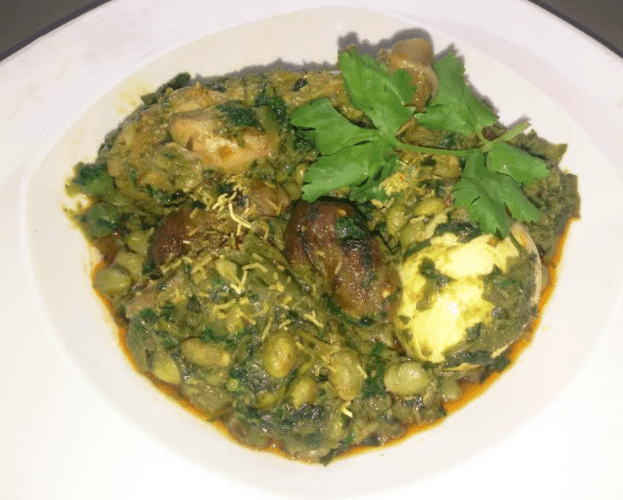 Dishes that are unique to this cuisine include Kadhi, made from buttermilk and gram flour which is usually either sweet or tangy and Karela nu shak, a bitter gourd curry. The Undhiyo (a one pot vegetable casserole dish), Ringan no olo (Gujarati style baingan ka bharta) and Sev tameta nu shak (spicy, tangy and sweet tomato curry topped with sev) are other dishes that are well known for their distinctive flavours. Gujarati snacks are very popularly known as Farsan. Some of the well-known snacks are dhokla, khandvi, fafda and handvo. Spices play a pivotal role in most of the Gujarati dishes. The commonly used spices and seasonings used in preparing Gujarati cuisines include turmeric powder, green chilli, cayenne pepper, saffron, garcinia indica, cardamom, cumin, coriander, tamarind, fenugreek seeds and leaves, mint, asafoetida, cloves, ginger powder, and garam masala (a combination of spices roasted and powdered). 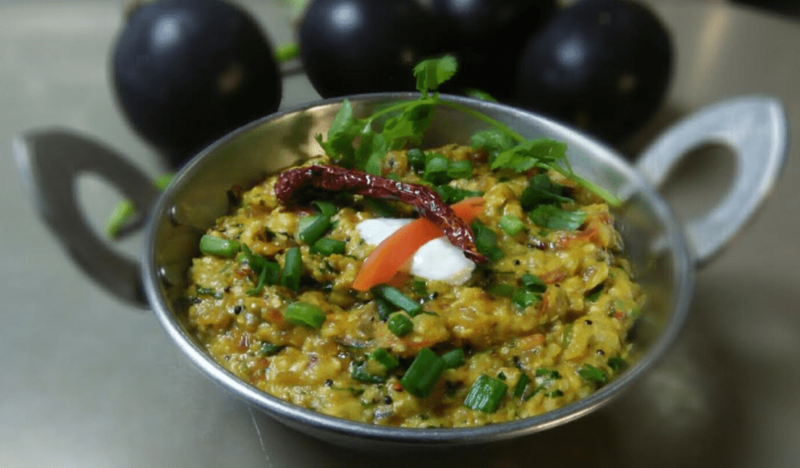 “The unique ingredients which are used in this cuisine are bajri atta (Millet flour). Also, most dishes have a hint of sweetness in them due to addition of sugar or jaggery. As such, salt, sugar, lemon, lime and tomatoes are used frequently in dishes,” says Angre. A distinctive feature of Gujarati food is that there are many of the traditional dishes have a combination of tastes including sweet, salty, sour and spicy at the same time. In fact the state’s coastal climate is quite hot and dry which is why you will see an extensive use of ingredients like sugar, tomatoes, lemon, lime, kokum and curd as it helps to keep the body cool and hydrated. And if you want to experience it all, I suggest you try an authentic Gujarati ‘Thali’. This is easily a complete meal consisting of almost everything a region has to offer that includes appetizers, breads, rice, curries, vegetables, salads, sweets and more. The Thali will also include preparations made from pulses or whole beans called kathol in Gujarati such as moong, black eyed beans and the like. The cuisine also varies depending on the region from where it originates. North Gujarat, Kathiawad, Kutch and Surat are the four major regions of Gujarat that contribute their unique touch to Gujarati cuisine. The non vegetarian dishes are customised and made by converting traditional vegetarian dishes. Here are two recipes by Chef Sudhakar Angre. Coat the eggplant with oil on the outside and begin roasting it on the gas for 10 minutes then the turn side and roast for another 10 minutes by changing sides in between. To test, when you insert a knife you will feel it is soft and not hard. If hard continue to roast until done. Once done, peel the skin of the eggplant and chop it well. This will give the eggplant a smoky flavour. Now, take oil in a pan, add rai (mustard seeds) and hing (asafoetida). When it sizzles add turmeric, green chillies, spring onion and chopped onion. Now add ginger-garlic and tomato and cook until oil starts leaving the side of the pan. Now, add the chopped eggplant, mix well and cook for 10 minutes. Then add curd, red chili powder, garam masala, salt and cook on low heat for another 5 minutes. Serve hot with Bajra Na Rotla and Phulka Roti. Take minced meat of mutton, add ginger garlic paste, salt, red chili powder, garam masala and mix properly. Now make small balls out of that mixture and deep fry them. Take oil in a pan, add hing (asafoetida) and jeera (cumin). Once they start sizzling, add red chilli powder, coriander powder, green garlic and green coriander. Mix them well together for some time and add water. Once the gravy starts boiling, put surti papdi, valor dana and tuvar dana. Mix them properly and after 10 minutes add chicken, egg, meat balls. Stir well. Now add coriander powder, coconut salli, green coriander, gram flour, sugar and salt (to taste) and stir well. Serve hot and garnish Sev with Phulka Roti. This story appeared in the August 12, 2017 issue of Deccan Herald Living here. Such a nice consistency and it seems really good!